Even before the spectacular success of its X-1 rocket-powered aircraft in breaking the 'sound barrier', the adventurous Bell Aircraft Corporation was already pushing ahead with a parallel project to build a second aircraft capable of far higher speeds. The X-2 (or Model 52) explored the equally uncertain technology of swept-back wings. 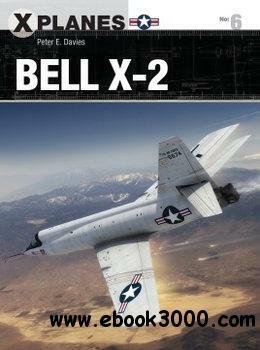 Now common in modern conventional fighter aircraft, the Bell X-2 was revolutionary in using this type of airframe to probe Mach 3 and research the effects of extreme aerodynamic friction heat on airframes.